This unique, tailored programme is designed for students who have limited experience in art and design and want to develop their skills base and understand how to build a digital portfolio. 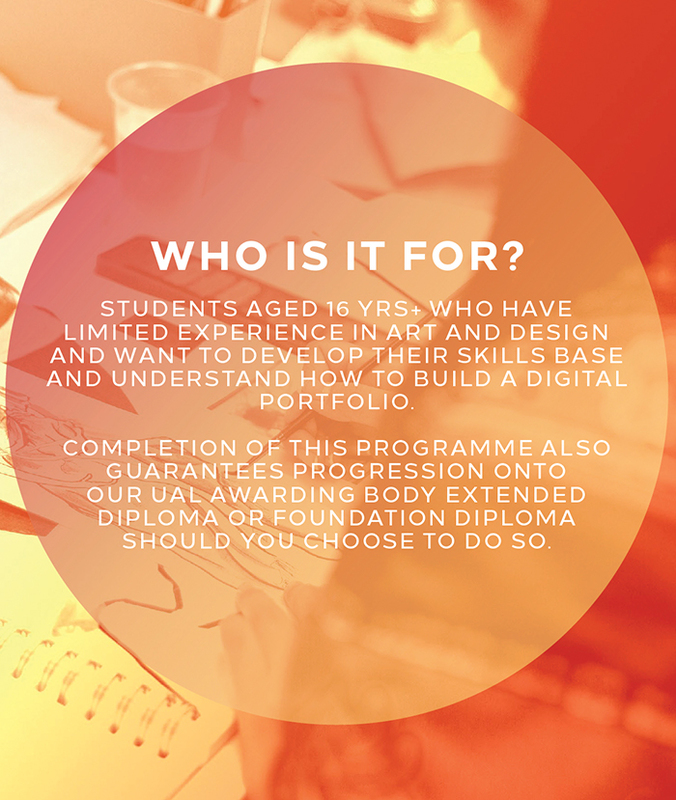 If you join this programme you will be guaranteed entry onto our 2-year Extended Diploma in Art & Design or our 1-year Art Foundation, both accredited by the University of the Arts London Awarding Body. Our specialist lecturers and tutors will teach you new methods and practices to improve your work and develop your skills base. 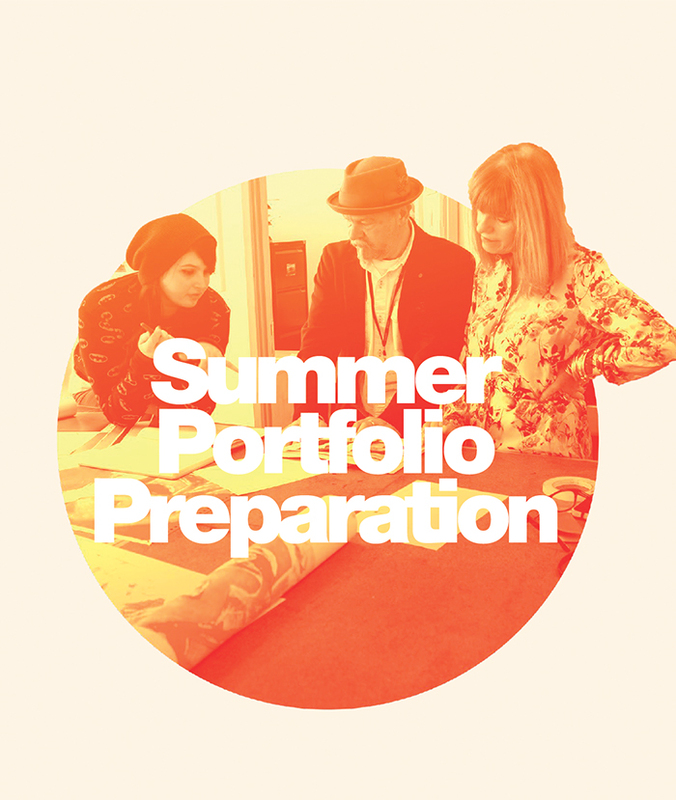 Learn how to construct your own digital portfolio, what to include and what to leave out and how to show your work at its best. 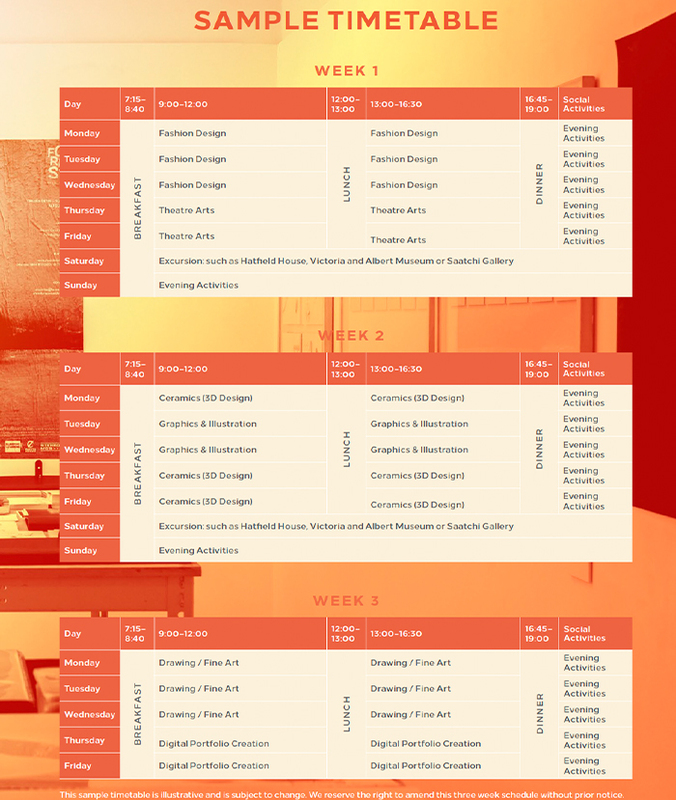 Workshops will give you practical experience of a wide range of new techniques, skills and disciplines. 1.You will have gained all the skills you need to create a winning portfolio. 2.You will have developed your own digital portfolio. 3.You will have experienced a wide range of Art & Design subjects and disciplines. our UAL Level 4 Foundation Diploma at CSVPA should you choose to do so.